브리티시 컬럼비아는 장엄한 산맥과 캐나다의 태평양 관문으로 알려져 있다. British Columbia is known for its majestic mountains and as Canada’s Pacific gateway. 밴쿠버항은, 캐나다에서 가장 크고 가장 분주하며, 전세계에서 오는 수십억 달러 어치의 물류를 다루고 있다. 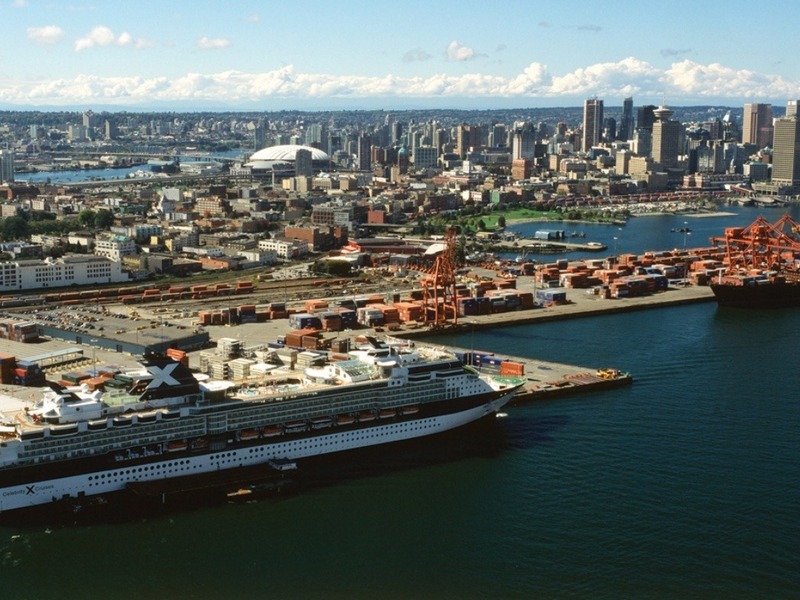 The Port of Vancouver, Canada’s largest and busiest, handles billions of dollars in goods traded around the world. 태평양에서 오는 따뜻한 기단은 BC 해안에 온대 기후를 조성하고 있다. Warm airstreams from the Pacific Ocean give the B.C. coast a temperate climate.